This girl needs all that and a bit more. Packed with hygiene essentials plus salon brand hair products, pampering items and an emergency tampon pack, this box combines must-haves with great-to-haves. Receive our Girl's Premium box each month with our easy auto-renew plan. 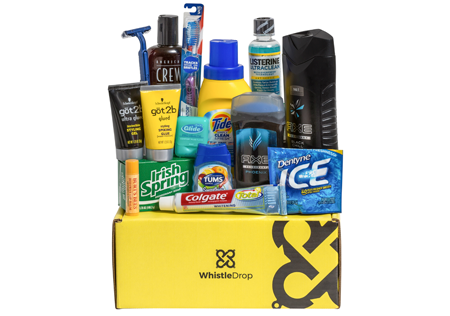 For the guy who wants to stay clean, fresh and ready for anything, this box has all the essentials for everyday grooming and laundry. Receive our Guy's Standard box each month with our easy auto-renew plan. Shiny hair, check. Smooth legs, check. No sweat, check. Clean laundry, check. This monthly girl’s package has all the essentials for a stocked shower caddy and more, with no trips to the store. Receive our Girl's Standard box each month with our easy auto-renew plan. 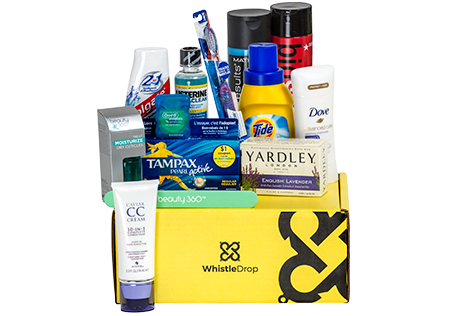 Brand and product selections vary each month in WhistleDrop boxes. 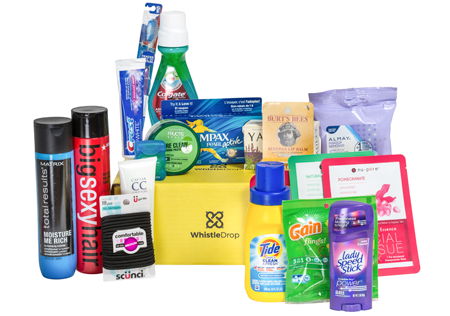 Examples of bonus items include additional hygiene and personal care products such as tampons and lip balm, or candy, gadgets, beauty tools and more.